Brand new remodel, flooring, paint, kitchen, bathrooms, & new air conditioning and fencing. When you enter this home, pay attention to upgraded details, can lighting throughout, ceiling fans in all bedrooms and dining room. The kitchen has brand new appliances, designer quartz counter tops, breakfast bar, full pantry & a downstairs bathroom along with interior laundry area. Upstairs you will enjoy 3 bedrooms, remodeled bathrooms, plenty of hallway storage and the Master Bedroom also has a spacious walk-in closet. Enjoy your secluded courtyard patio with direct access to your 1 car garage plus 1 car carport along with an additional locked storage closet. Community has a play area, pool, and is a short walk to shopping & dining along with Central Park. 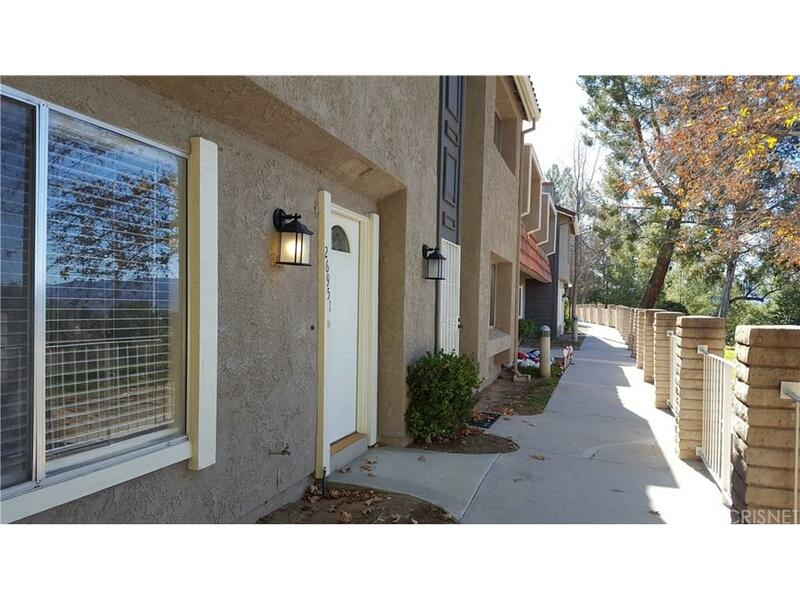 Located in a peaceful and desired area of Santa Clarita with easy access to Distinguished Elementary, Jr. High & High Schools. Low HOA & NO MELLO ROOS. Enjoy your panoramic views and serene sunsets from this home.